The United States Ambassador to Nigeria, Mr. Stuart Symington, has denied that the US has endorsed a candidate or party for the general elections. Symington revealed this during a courtesy visit to Nasarawa State Governor Tanko Al-Makura in Lafia on Saturday. He stated, “The US does not have an anointed candidate or a political party for the elections. Nigerians must work hard to ensure that the elections are credible like the 2015 elections. The envoy urged all the candidates to embrace peace, stating that every Nigerian would be held responsible for what they say and whatever they do before God. Al-Makura said the state government would adopt the best internationally acceptable practice in the conduct of the elections. The governor stated, “I believe Nasarawa State is a role model for Nigeria and the international community. I am calling on all political parties to kick against hate speech so as to move this country forward. Meanwhile, the Head of the European Union Delegation to Nigeria and the Economic Community of West Africa States, Ambassador Ketil Karlsen, has said they were not interested in selecting a president for Nigeria or influencing how Nigerians would vote during elections. Karlson spoke when he paid a courtesy visit to Governor Seriake Dickson of Bayelsa State in Yenagoa on Friday. He said, “We are visiting at this important moment ahead of the presidential and state elections in Nigeria to express to you the governor and your team the importance that we attach to free, fair, peaceful and transparent elections in Nigeria. “We believe strongly that democracy is the best, if not the only way to continue stability, development and creation of opportunities for ordinary Nigerians. That is why we reiterate that for the EU and the international community at large, we are not here to select the leadership of Nigeria. Dickson praised the EU and its partner agencies for the projects that would promote development and stability in communities in the country. He said Bayelsa had benefitted from such projects. Dickson said the state was committed to free, fair and credible elections and would not act in any way that could compromise the integrity of the electoral process. 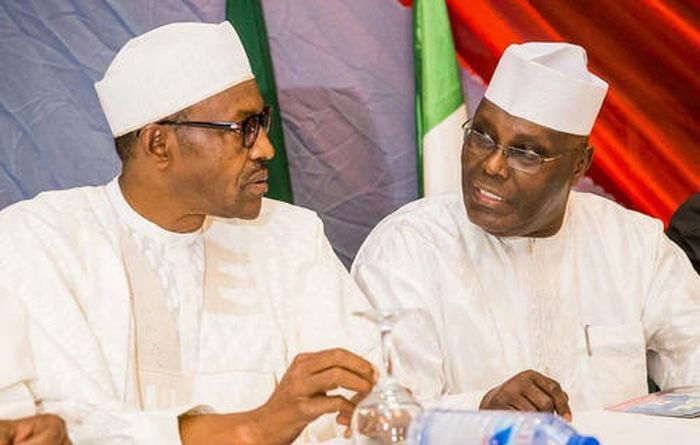 The post Nigeria Presidential Election: We Are Not In Support Of Any Candidate – US, EU appeared first on Naijaloaded | Nigeria’s Most Visited Music & Entertainment Website.